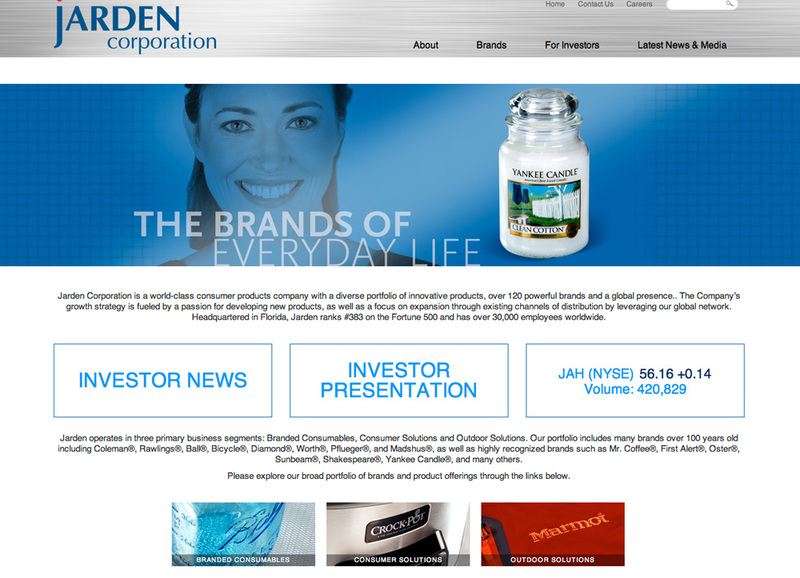 Octane created an official website for Jarden worthy of its collection of world-class brands. The site features elements that are important to Jarden, such as new platforms that celebrate individual brand achievements for Innovation and Sustainability and films featuring top leadership. Octane provided cohesive brand and lifestyle art direction to combine diverse products in a unifying series of mosaics as well as an easily updatable, robust Investor hub fed from the NYSE that features historic reports and current key financial data. 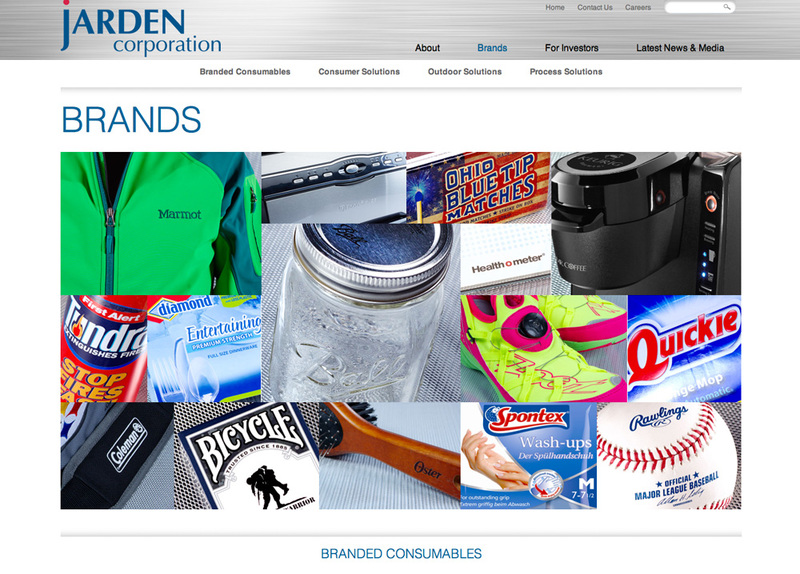 These components combine to create jarden.com a sleek, comprehensive example of what all corporate websites should be.